I’ve known so many people who say they want to start a blog, but have no idea where to start. Its important to know where you’re going and to have a plan, otherwise its truly an uphill battle. Or maybe you already have a blog and want to stay up to date on the latest trends? 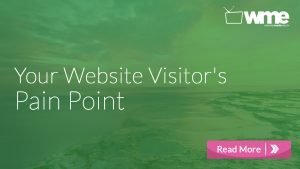 With these points, tackling the challenge of building a website and running a blog will be put in perspective. Give yourself this shortcut to success and you’re life will be that much easier. It is very important to decide what you want to write about and stay focused on that niche. Don’t expand your topic too broad or too quickly. Ensure your success by delivering quality content that is helpful for a targeted audience in order to gain trust and benefit your readers. This will allow you to keep it simple and dive deep into your specific strength. When the time is right, you can consider widening your approach, but will always need to stay laser focused on your original content as well. This builds trust. Being authentic means sharing your unique experiences and your unique voice. By presenting yourself in an authentic way means you are there to help and may have had many similar struggles that your readers are currently going through. By sharing your unique struggles, you can be more relatable and thus your content better received. This also helps to build your personal brand while simultaneously building your blog. Win-win. If you want your blog to be successful, know that a consistency and steady stream of quality content is a must! Your niche’s audience has plenty of other authorities to consider. Why should they give you the time of day? By hustling harder and delivering better content consistently, you’ll maintain your audience for much longer. There is plenty to learn in order to continually sharpen your writing styles and topic delivery. From social media to search advertising, the digital world is ever changing so if you want to be relevant a year from now, you better keep after it. 4. Understand the Blogging Platforms and How They Work. There are tons of blogging platforms and website builders out there now, but let’s focus in on the few that really are dominating the Internet now. Blogger: Blogger is a free platform and is very easy to set up. Their user interface is easy to customize and flows well. Blogger also allows for advertisements on your site and is owned by Google. You’ll have access to Google’s features such as integrating Google+ and being able to host Google Hangouts very simply. 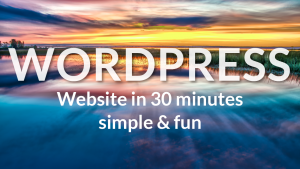 WordPress: WordPress is also a free blogging platform and is rather easy to set up and has countless customizations available. It is a very powerful content management system with endless possibilities. There are, however, three types of WordPress blogs you are able to create. You can create the free blog and use the www.blog-name.wordpress.com domain. You can purchase a custom domain name and have your site be www.blog-name.com. Or you can have a self-hosted WordPress blog by purchasing a domain name and webhosting service. 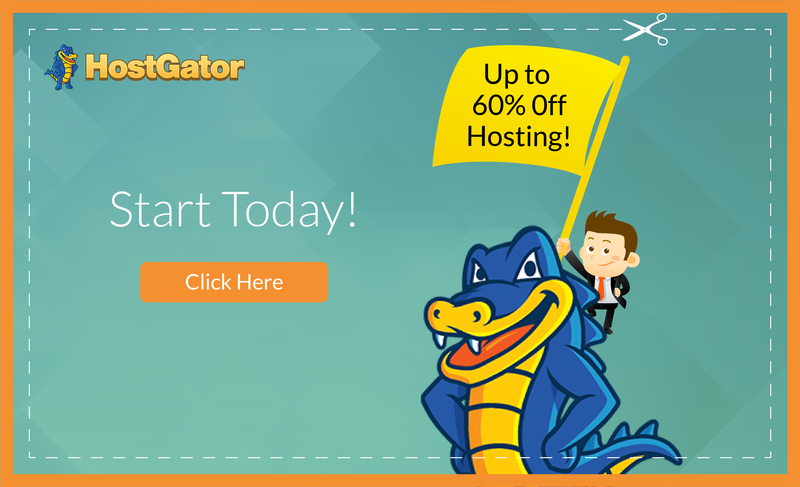 One of our favorite webhosting services is called HostGator. Definitely be sure to check these guys out! While all the major blogging platforms utilize user-friendly elements like drag-and-drop functions, knowing the basics of HTML can help you immensely. From adding links and embedding videos into your widgets to ensuring your dropdown menus are lining up properly, knowing the basics of coding may help you down the road. Search Engine Optimization is critical for getting your content in front of a larger audience. Not only does it help your blog get found by more people, you become an authority for certain keywords, which builds your influence in your community. Visual content is critical for every single thing you do online. If you don’t have compelling photography that communicates the purpose of your article or website, then you’re leaving money on the table. Quality visual content doesn’t have to be anything professional either. By learning basics of photography editing programs, you are able to bump your bland photos to something engaging in no time and with little effort. The Rule of Thirds: Imagine every picture you take (or any one you choose to grab off of any of the sites listed above) as having 9 dissecting boxes. Imagine the screen like a tic-tac-toe frame, or a Rubik’s Cube. Now place the object of the image on one of those dissecting lines to the right or to the left of center so that your picture gets the object as well as the background, one on either side. This is a real simple way of taking better photos than having your object right in the center of the image. Plus, once your design skills are turned up, you can more easily add text on either side of the object. Simple Filters: This is why Instagram has become so popular. By using simple pre-determined filters integrated in your image, your once bland image becomes artistic like that! Instead of running every photo through Instagram and resaving it and resizing it, then posting it, try a program like https://pixlr.com, check out this quick list of online editing programs at http://www.lightstalking.com/online-photo-editing, or if you’re on the go and take pictures with your phone, try an app like Afterlight for some quick and easy photo-editing results. Stock Photography Websites: What you’re looking for is a website full of free photos with a “Creative Commons of Zero”. This means that you are able to download the image, and use it commercially for free and without even attributing it to its author. 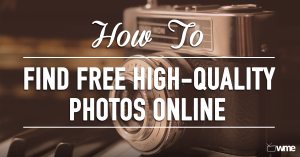 Here are some websites for you to consider when searching for free or licensed photography. Consider the layout and design that your specific reader would prefer and have your design fit their needs. Be sure to have things organized well and clean so that there’s fewer distractions away from your content. When in doubt keep it simple by using clean and readable fonts, simple background colors that aren’t too harsh of a bright or dark color. And make sure that your site’s navigation makes sense. You definitely don’t want to confuse anyone when they’re trying to find basic and essential information. Don’t make things too complicated or your audience may get confused and lose patience. Mobile sites are a must in today’s world. Google released news about their algorithms holding an added weight to mobile friendly sites. So if you hope to survive in the rankings in 2015, you better have a site that’s optimized for mobile. And the good thing is that WordPress is especially great at enabling this on many of its themes. 10. How Often Should You Post? It depends. If you’re just starting out, then your focus ought to be different than when you have thousands of readers. When you’re just starting out, you really need exposure. It takes hustle, but get your name out there. You’re going to want to get your name on every other related blog that’s out there. You can try writing guest posts on larger blogs for a larger audience, you can invite others to interview you for their blog, and be watchful for any press mentions that you think you can land. I get it, attention spans are short and people just want to get to the heart of the issue, but by providing a huge amount of value to your audience means they’ll come back for more. Long content has the potential to keep growing long past the usual articles’ short lifespan. Its good to try to quickly solve problems, but without the long content, are we really digging deep to the heart of the matter? These are arguably the type of posts that provide the most value and stand the test of time. Know that your work must be your own. Sure ideas from other writers in your niche may get the juices flowing, but be sure to write your own content throughout everything you do. This leads back to the second point in this list, being authentic. You need to be honest in order to build that trust and your readers will be able to tell sooner or later. In regards to using images, you aren’t legally able to grab any old photo off of Google and slap it on your article even if you give photo credit to the author. The good news is that there is a rising trend of free stock photography websites in recent months. These each have their own fine print and copyright information, but some areas to get you started can be found in our list above under the “Learning Basic Photography Tips” section. 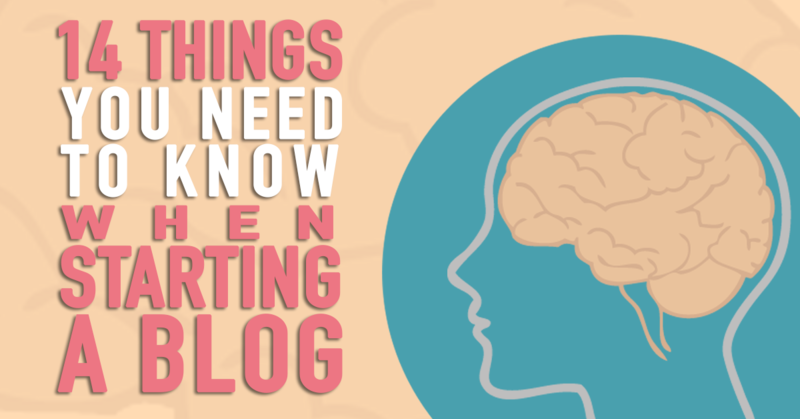 There is plenty of support of all different kinds for bloggers out there. Build your confidence and associate yourself with any number of groups in your niche. From tips and tricks to case studies, these groups are beneficial for building your site and even gaining access to a wider audience while doing it. Be sure to participate in the forums and ask specific questions of others who are, in many cases, able and willing to help. Be goal driven for the long term plan two years from now or even 5 years from now. Don’t lose sight of these goals because it can be tough when building a blog only to see few results in the present. Know where you want to be and figure out how to get there today. 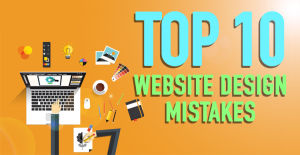 I hope that this list has been helpful when considering building a blog or website. There is so much more to consider, but this gives you a great foundation in which to begin your great blogging journey. Know that it takes work, but with some confidence and knowledge you will be able to get there. 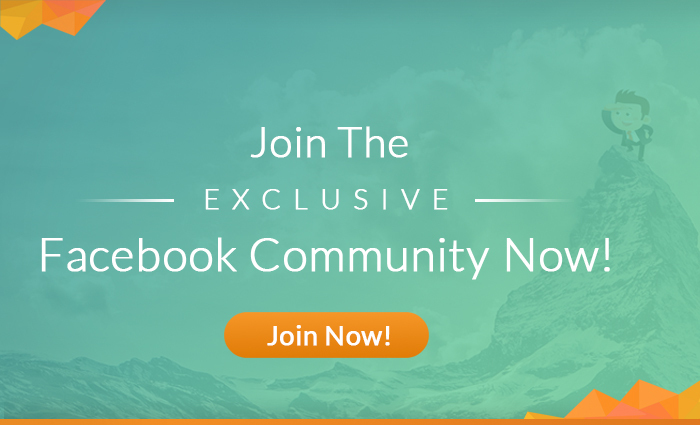 Be sure to join our community by engaging with us on social. Like our Facebook page and subscribe to our YouTube channel. And be sure to check out full access to all of our video tutorials and other help over at WebsitesMadeEasy.tv. Hello James. My name is Dan and I am a founder of Self Employment Ideas website. This is a very inspiring and informative article. 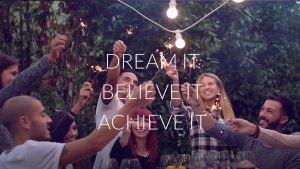 It’s a great value and a perfect example for people and myself looking for a new ideas and ways to succeed in internet marketing. You are welcome to visit my website for more opportunities online >> http://www.selfemploymentideas365.com Self Employment Ideas – From Opportunities & Challengers to Prosperity. Cheers and have a nice day! Hello James, I am a beginner in online business. Your tips are awesome.